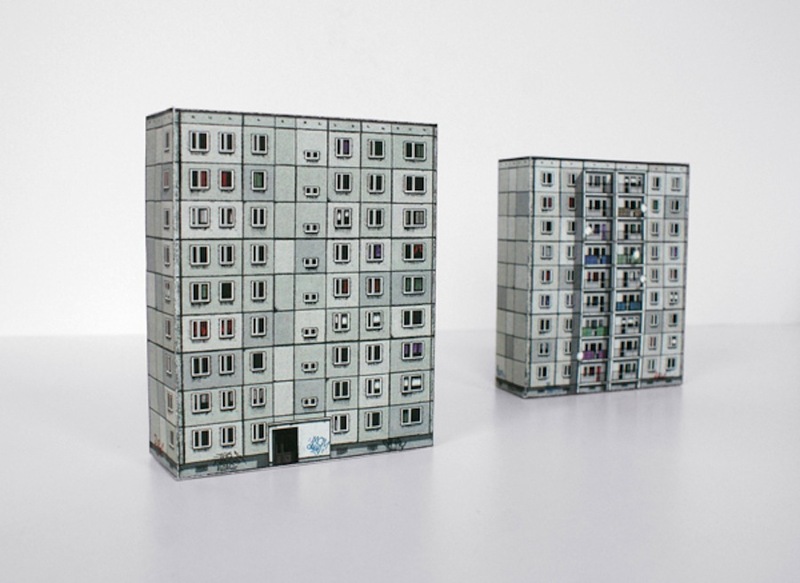 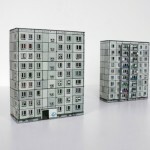 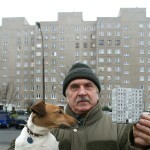 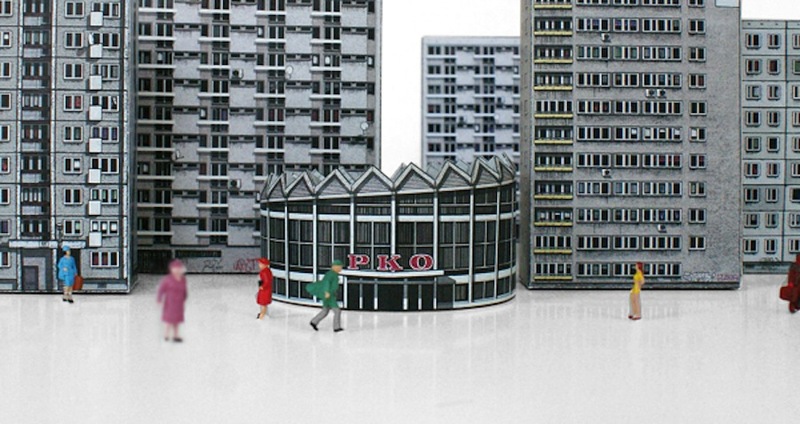 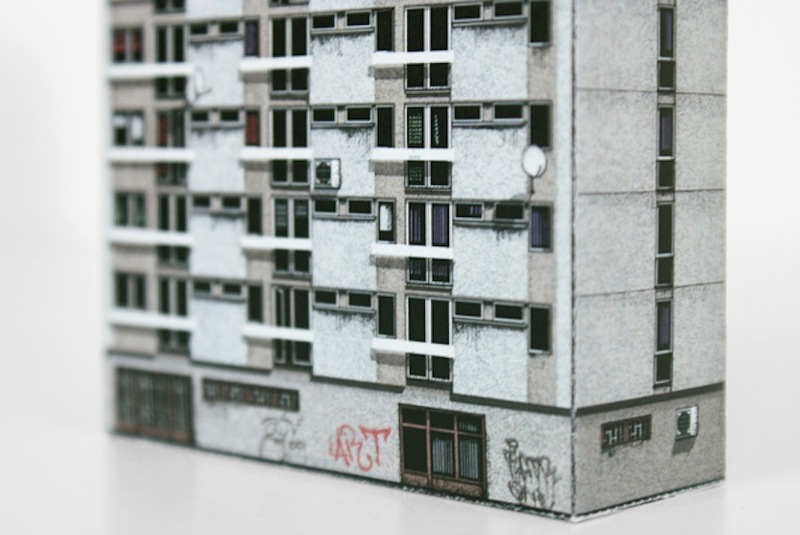 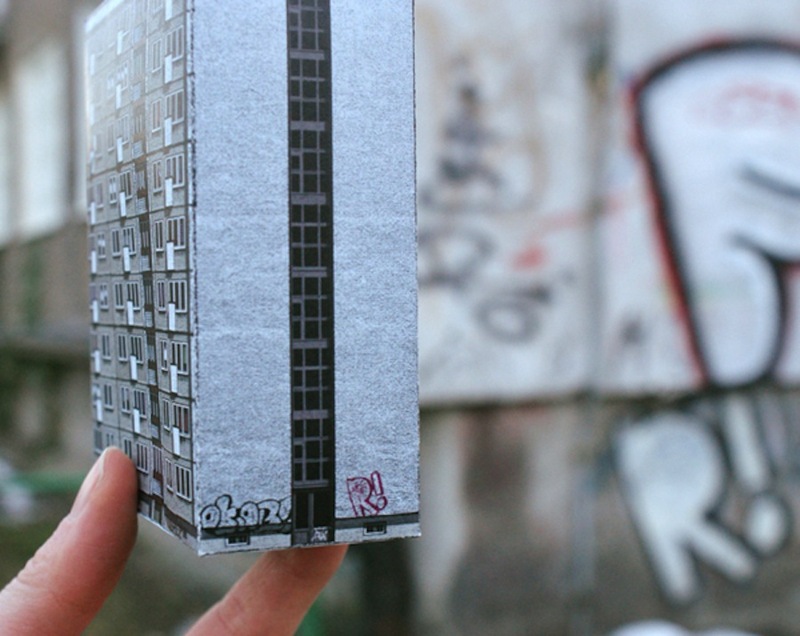 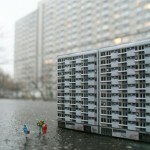 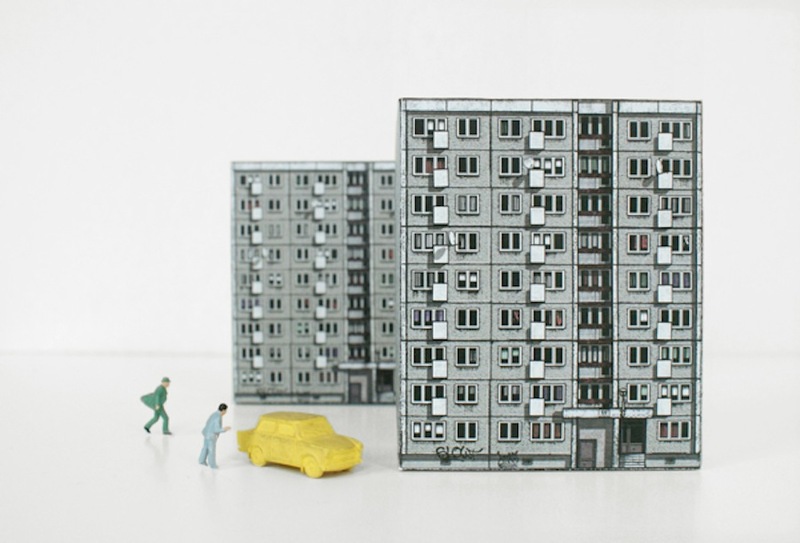 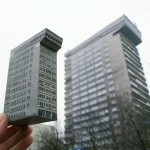 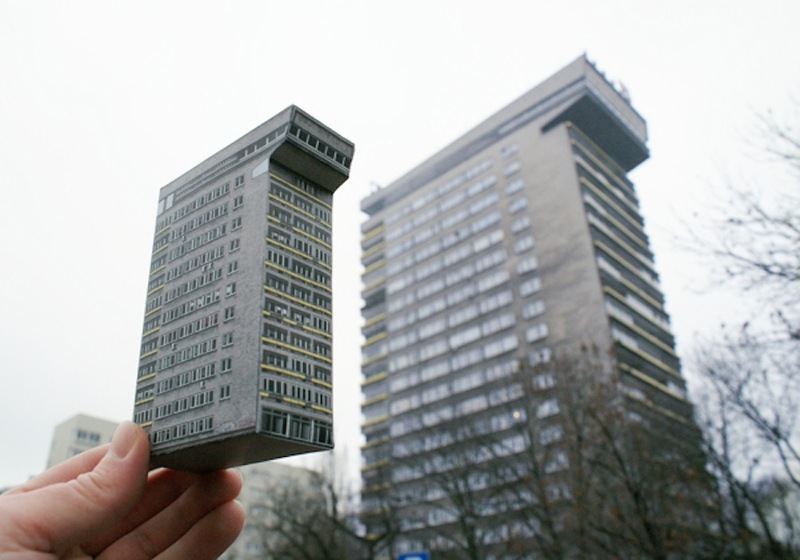 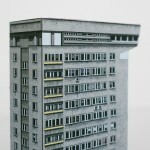 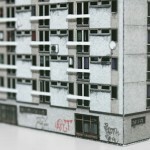 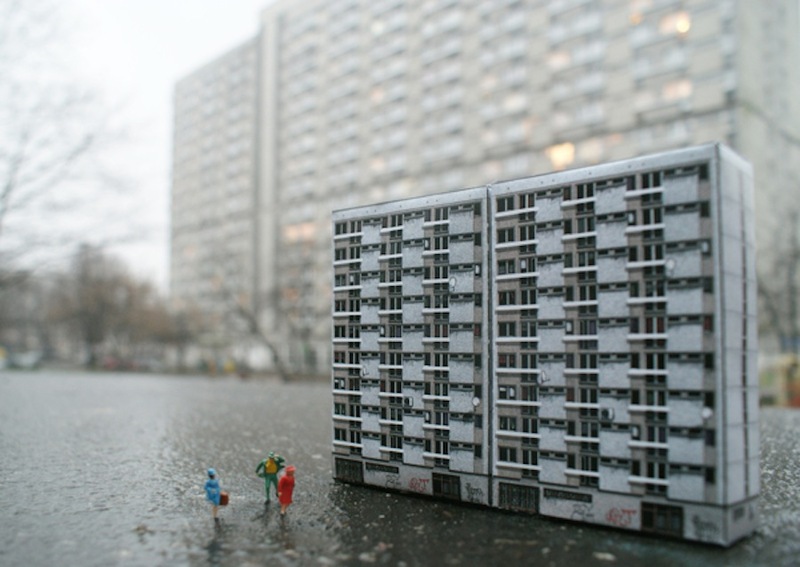 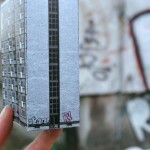 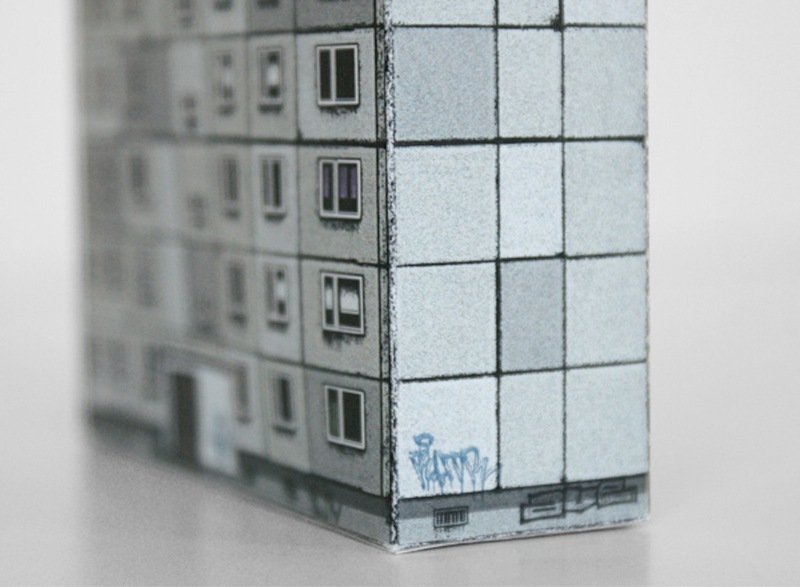 The semi-dilapidated Eastern-bloc buildings of Warsaw may seem like unlikely candidates to be immortalized in paper miniature. 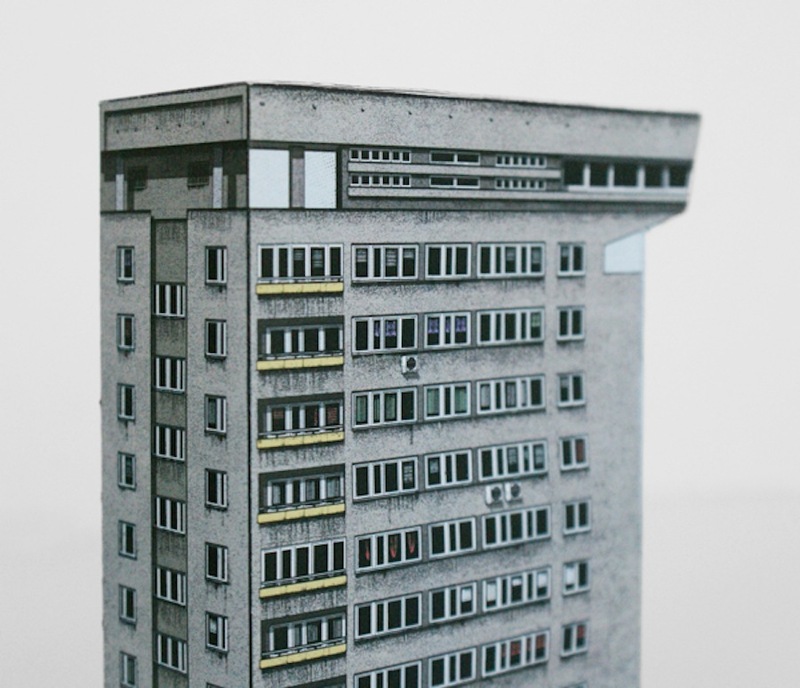 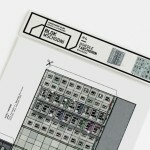 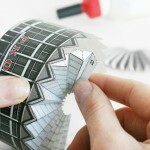 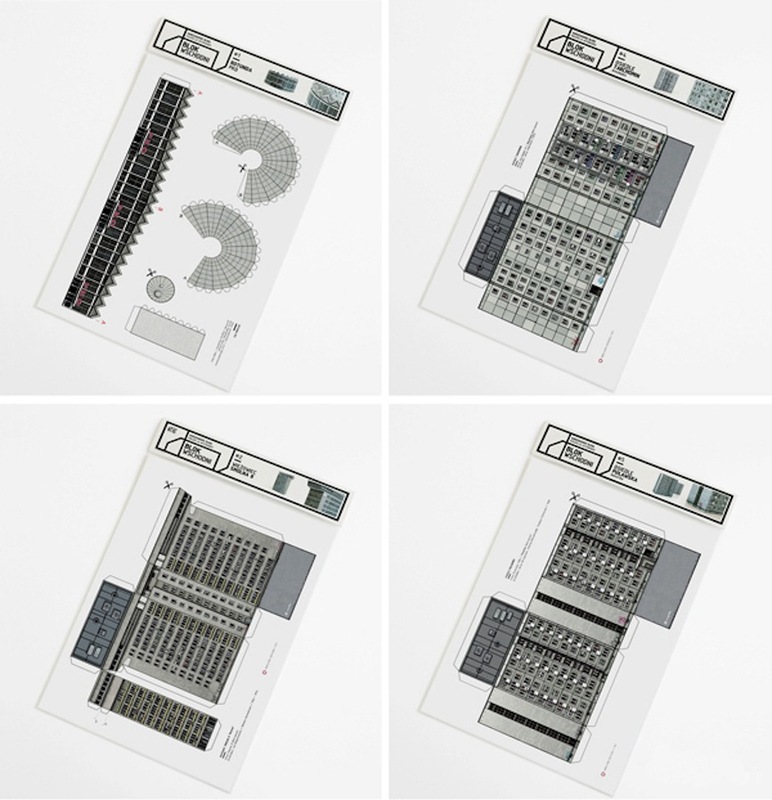 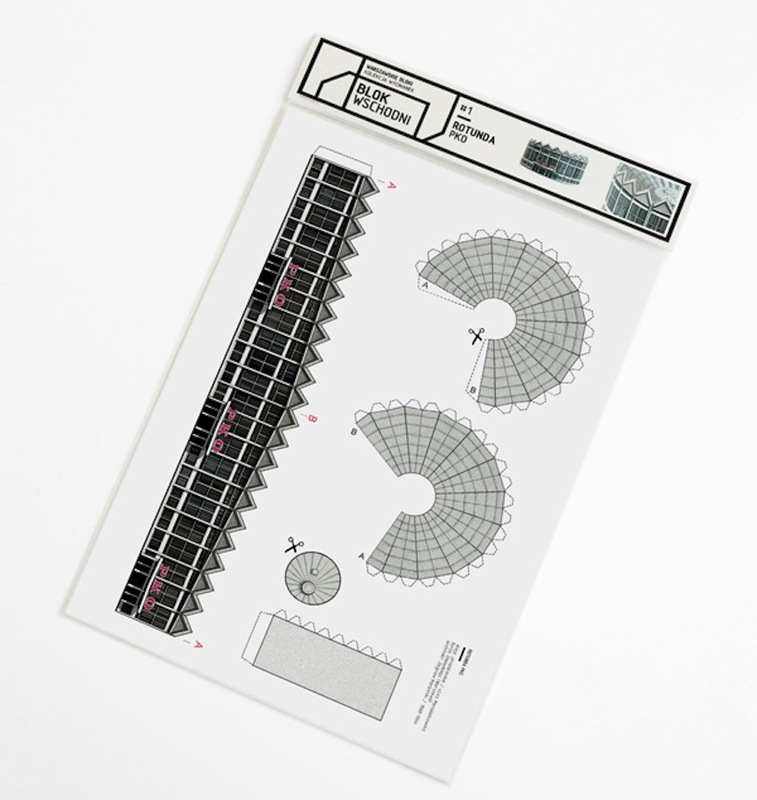 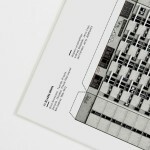 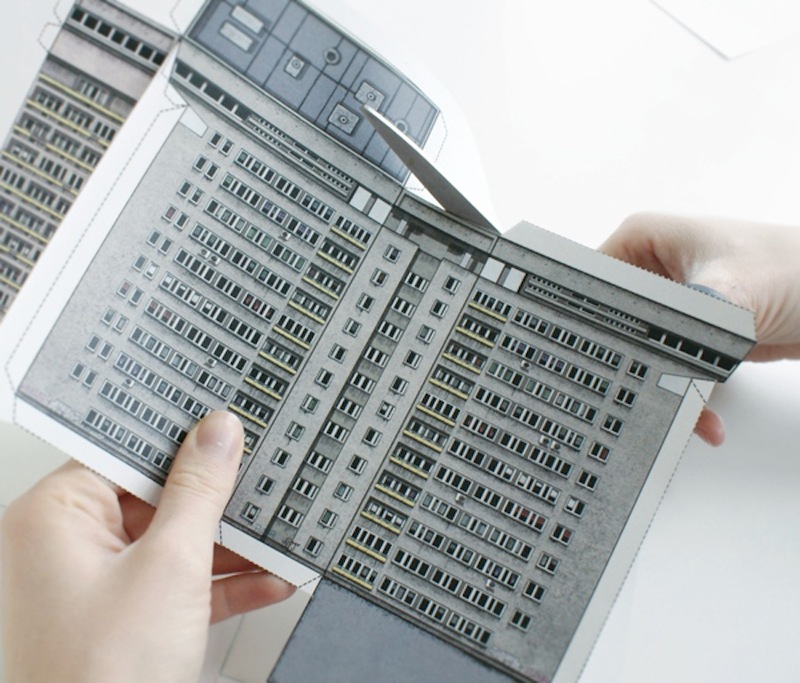 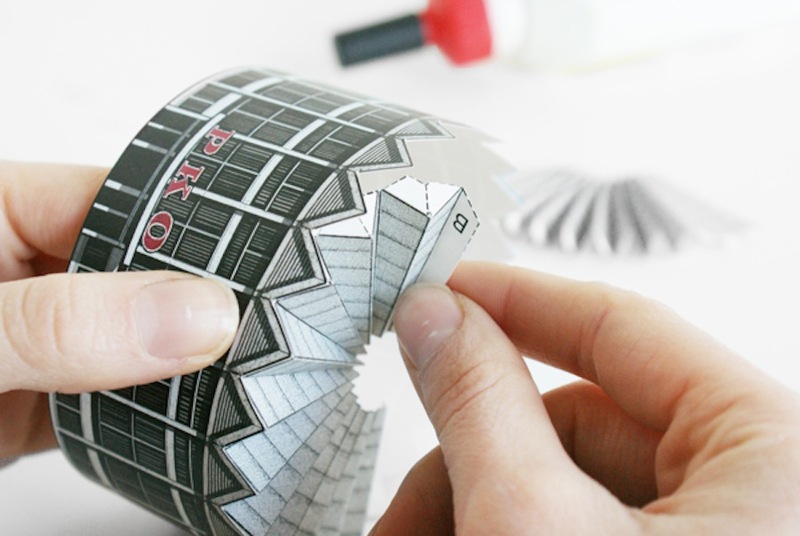 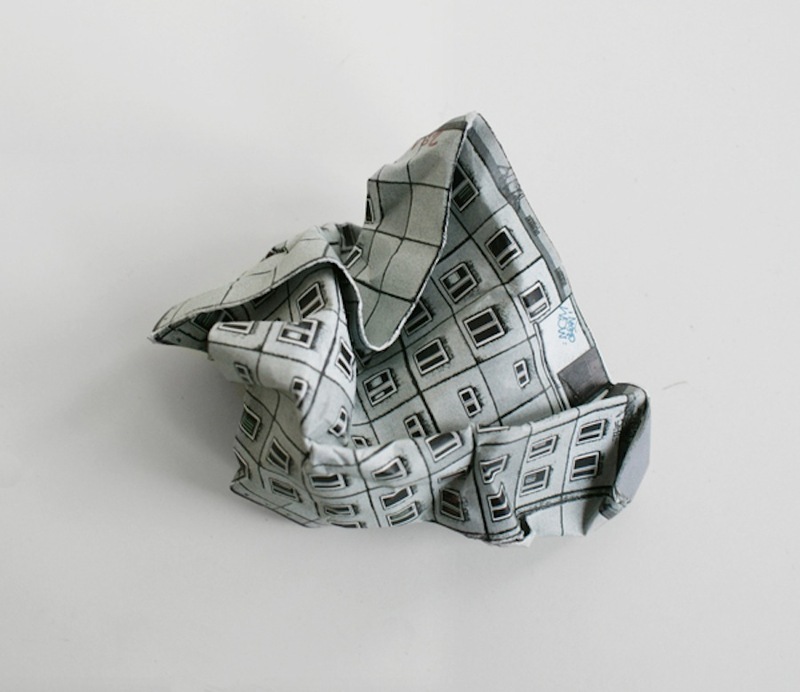 Nonetheless that was the task undertaken by Hispano-Polish design studio ZUPAGRAFIKA, which has devised a series of intricate paper models that can be cut and folded into small-scale models of a number of the Modernist structures dispersed through the city. 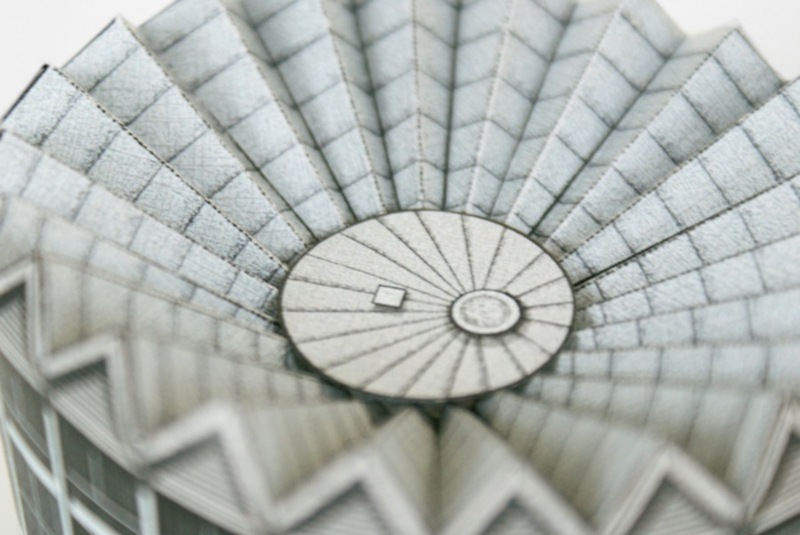 Each hand-drawn design constitutes a testament to the range of the color grey and is remarkable in its attention to detail. 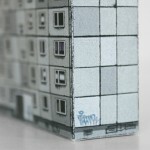 Black bleeds from balconies and stains concrete facades while graffiti peppers the structure’s bases. 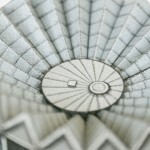 Occasional satellite dishes emerge from apartment units. 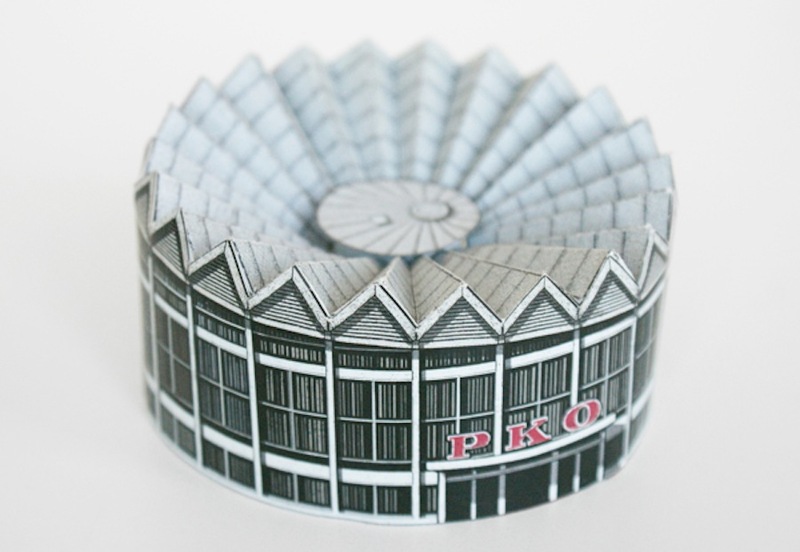 All but one of the collection appears devoted to residential towers, with the lone outlier being the circular model of the PKO Rotunda. 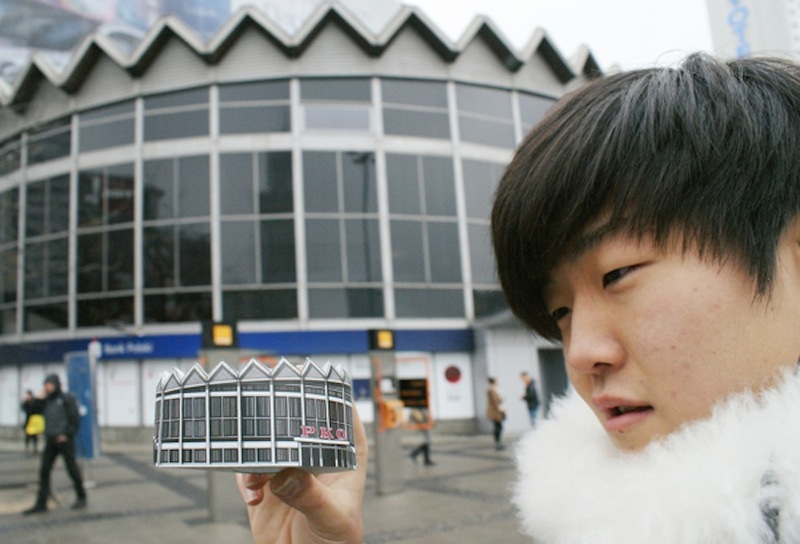 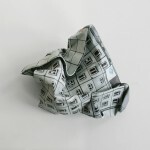 The latter calls for a slightly more elaborate origami effort in executing the structure’s zig-zag crown. 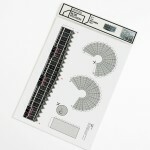 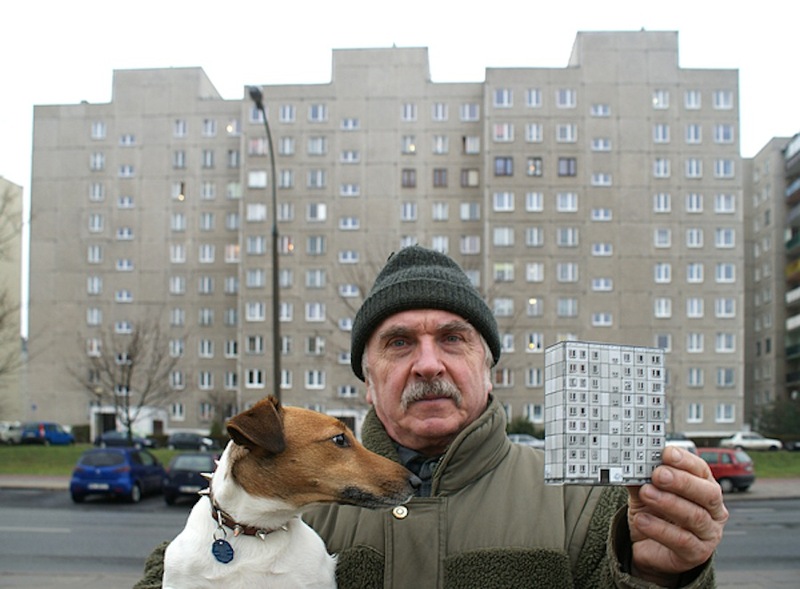 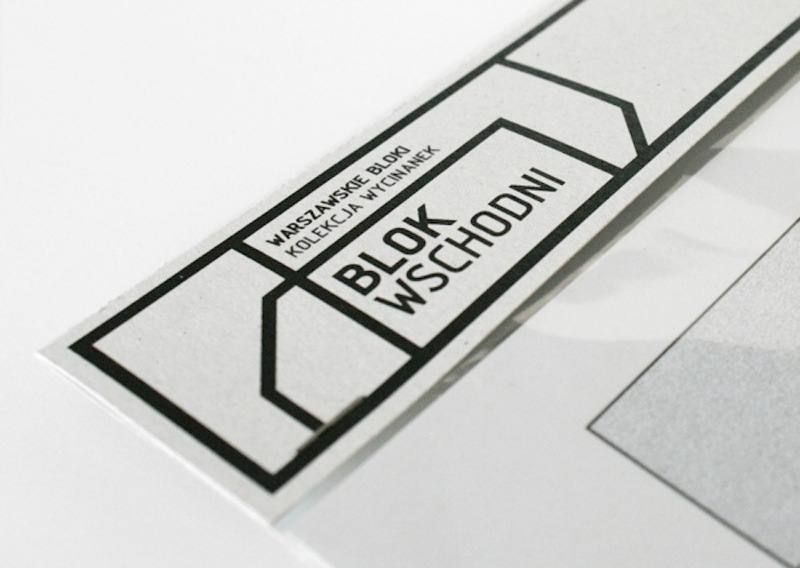 Each building can be purchased online, though a working knowledge of Polish appears to be required in order to complete such a task. 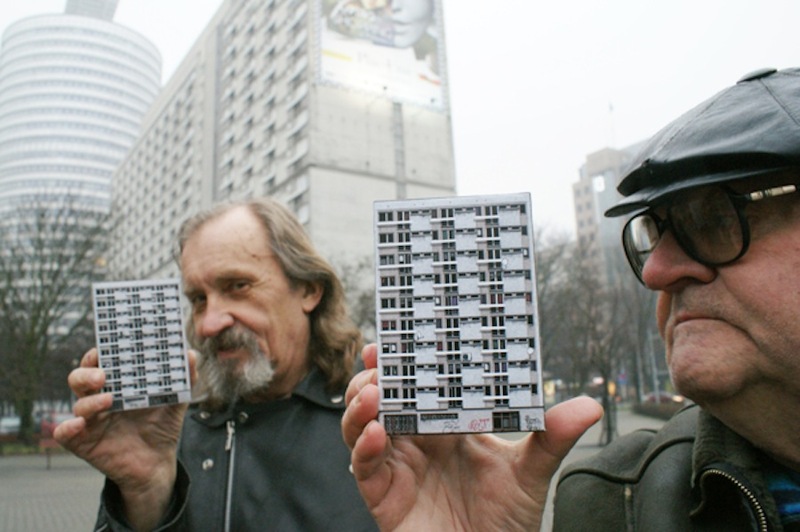 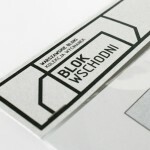 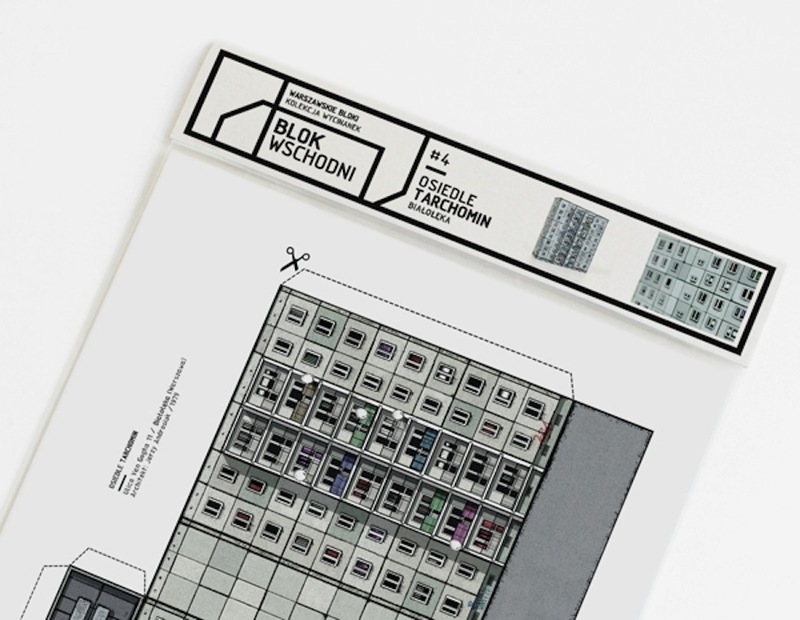 In rendering Warsaw’s Modernist legacy with such precision, ZUPAGRAFIKA’s project draws a stark contrast between the city’s not-so-distant architectural past, and the glossier designs destined to populate its future.